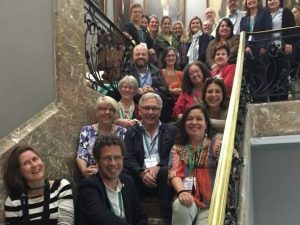 Health professionals, researchers, patient organisations and policymakers gathered in Brussels on 21 & 22 November for the 4th European Reference Networks Conference. The well-attended and lively event featured two full days of presentations and debate, driven by plenary sessions and eight parallel workshops. Delegates took advantage of networking opportunities throughout the conference, which was also streamed live online. 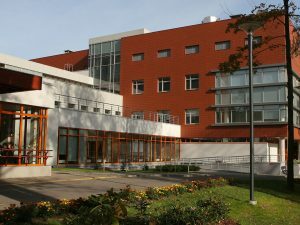 The 24 ERNs launched in Vilnius in March 2017 are designed to connect European experts in rare diseases. Approximately 30 million European citizens are affected by rare diseases. They face major challenges in diagnosis, treatment and care of their rare and complex conditions. ERNs are virtual networks that use a bespoke IT platform and telemedicine tools to review patient cases. Where possible, they ensure that information travels rather than the patient. Opening the event, Anne Bucher, Director-General of DG SANTE, compared ERNs to innovative start-ups with vast clinical and research potential. She highlighted progress in establishing the networks which now connect 900 healthcare units in 313 hospitals across 26 countries. More than 250 patients have directly benefited from virtual consultations by the network and this number is expected to grow. The conference focused on the need to consolidate the networks and examined some of the challenges that lie ahead. One of the priorities for 2019 is the integration of ERNs into national health systems. The role of Member States and hospital managers will be central in this regard, and both parties were well represented at the event. Improving the geographic coverage of the networks was a recurring theme: the networks have very strong representation from high GDP countries but less participation among lower GDP Member States. A new call for affiliated members may help to redress the balance. 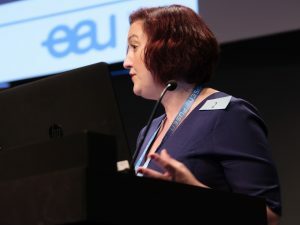 The potential of ERNs in developing clinical guidelines for rare diseases was under the spotlight. Work is underway to map existing guidelines and to explore how ERNs can help to fill gaps where no guidance is available. The Commission will support this through a tender on the development of clinical practice guidelines which was launched this month. Here you can find more information on the tender. The ERN Clinical Patient Management System was a hot topic. Participants emphasised the value of the platform as well as the need to ensure data protection. Data was also central to a discussion on the role of ERNs in building patient registries for rare diseases. The JRC is working with the networks to advance the use of registries and to establish common approaches to collecting, coding and storing data. Several sessions addressed the long-term sustainability of the ERNs. Challenges include funding, awareness among patients and health professionals, support from hospital managers, and the limited human resources available to work on ERN-related initiatives. Given the limited pool of experts in rare diseases, there can be a heavy burden on active ERN leaders. There is also a need to develop an interest and expertise in rare diseases among younger health professionals. A detailed report is in preparation which will capture the key messages from both days of the conference. This, along with presentations and video material, is published online.